Have a great Family Day! Hope you enjoy the long weekend. Special thanks to all our neighbours who I have seen on the streets with hammers and crow-bars, working to keep those sidewalks clear. For many local residents, the sidewalks are their only way to get around; so thank you for helping us all get safely to school, to work, to run errands, and to visit our local businesses. We would not want to see anybody needlessly fall and get hurt! We have a guest presenting to us at our regular meeting this week. The property owner is interested in developing a purpose built rental building on the north-west corner of Bloor and Indian Road. They would like to discuss their plans with the community and the West Bend Community Association is pleased to host them. An official application to the City has not yet been made for this site, so this offer to discuss the proposal with the community is most appreciated. There are indications a development application for the Giraffe site is also pending. Stay tuned for further details on that site too. In other updates, West Bend Green Community has been incorporated and will be applying to the CRA for charitable organization status. This will be useful for fundraising purposes and when applying for grants — such as the City of Toronto Live Green Grants for which applications are due soon (see below). And with Spring just around the corner, it is time to start thinking about our gardens! The West Bend Community Association has assumed responsibility for completing the Railside Garden. We have a budget for the bigger work, and we use volunteers for the ‘fun stuff’. If you are interested in helping out in any capacity, reply to this newsletter and/or show up for our meeting on Wednesday! Live Green Grant deadline for expressions of interest March 1st. Everybody is always welcome to our monthly meetings. It is the perfect opportunity to find out about (or tell others about) issues affecting our community, to get involved in local activities, and just to get to know more of your neighbours. We meet on the third Wednesday of the month from September to May, at 7pm in the second floor staff room at Indian Road Crescent Public School. We hope to see you there. The City of Toronto is currently offering up to $25,000 to help residents make a difference in their own communities – please take a look below. On behalf of Live Green Toronto, I am pleased to inform you that the second round of the City’s Waste Reduction Community Grants program (www.toronto.ca/wastegrants) is currently underway. Grants up to as much as $25,000 are available to support innovative Toronto-based projects that reduce residential waste and increase participation in the City’s waste diversion programs. If you have an idea that would qualify, the West Bend Community Association would like to help you! Bring your idea to the group and we will work together to make a different in our community! But hurry! The deadline to submit an Expression of Interest is March 1, 2019. 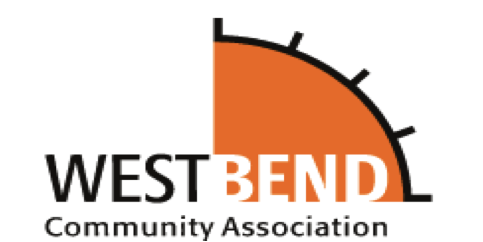 Copyright © 2019 West Bend Community Association, All rights reserved.